SAOTA’s first completed Los Angeles project, 900 Stradella, is on the market for $45 million (R595 million). Located in Bel Air, the 1393 square meter home provides 280 degree views from Hollywood Hills, Downtown LA to the Ocean. The five-bedroom house has nine bathrooms, a cinema, a gym and a wellness center with a sauna, steam room and indoor Jacuzzi. The property, previously owned by Hollywood director Michael Bay, was sold 3 years ago. Recognising the prime address and good placement on the site, PLUS Development and the owners opted to rather extensively remodel the house than tear it down. 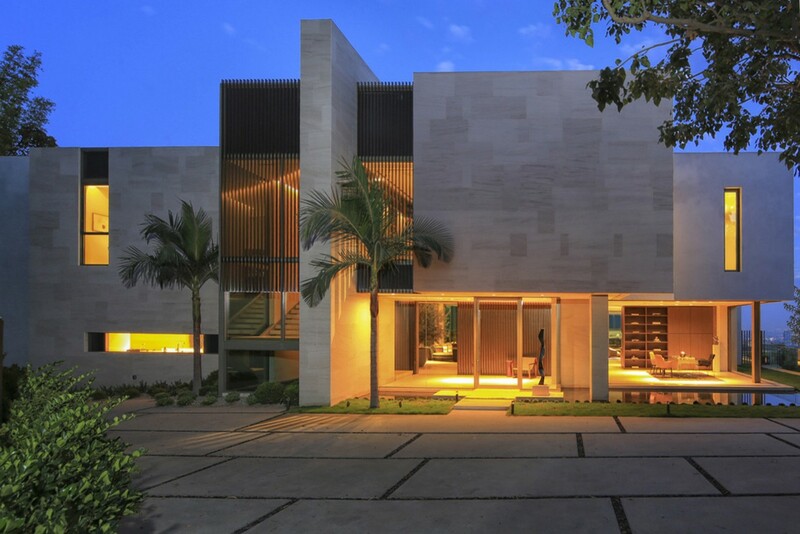 SAOTA made substantial modifications to the exterior and interiors with the introduction of the open-plan layout and the large south facing exterior terrace and swimming pool with its iconic 40m long terrace canopy – providing what was previously inward looking spaces with an exterior space and double volume entrance. “Over the past three years, SAOTA has seen a significant growth in the US market with Los Angeles becoming a key focus area. We currently have over 30 projects underway in the US – three projects are built, five will be completed in the next year and the remainder will follow closely behind. Overall, we have 70 projects under construction around the world”, comments SAOTA Director Mark Bullivant, who led the project team. The sale of 900 Stradella will be facilitated by James Harris and David Parnes from The Agency.